Present state: Demolished - no evidence of the station remains although the pier is still extant. The station consisted of a single platform with a loop. After closure of the station the Pier continued to be used by steamers. 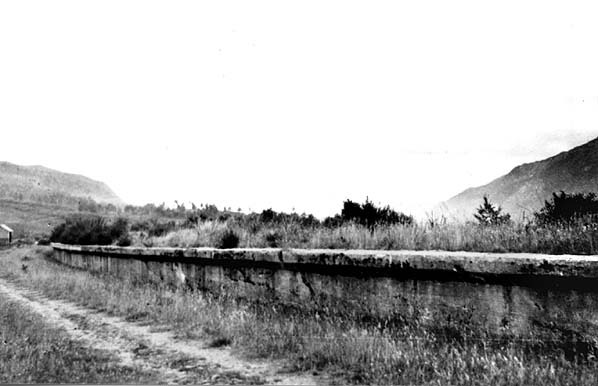 A group of local businessmen and landowners formed the Invergarry and Fort Augustus Railway Company proposing a line from Spean Bridge on the West Highland line to Fort Augustus at the south end of Loch Ness. It was hoped that the line could be extended at both ends and would eventually connect Glasgow with Inverness. Although they had little money to run the line themselves, it was decided to build the line and then sell it to the highest bidder. The line was unsuccessfully opposed, by the Highland Railway and the Act was passed on 14th August 1896. Construction started the following year and after a final inspection by the Board of Trade on 14th July 1903, the branch opened eight days later on 22nd July. The line was largely funded by Lord Burton and was an expensive venture, built to main-line standards, so convinced were its promoters that it would ultimately become part of a ‘Great Glen’ trunk route. 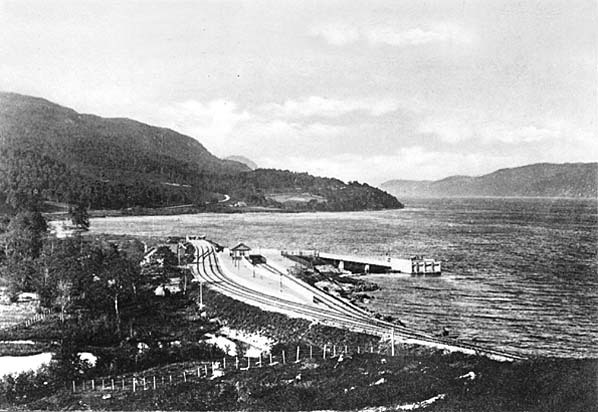 There was a station in the centre of Fort Augustus, but the line extended to a pier on Loch Ness to allow connection with steamers. 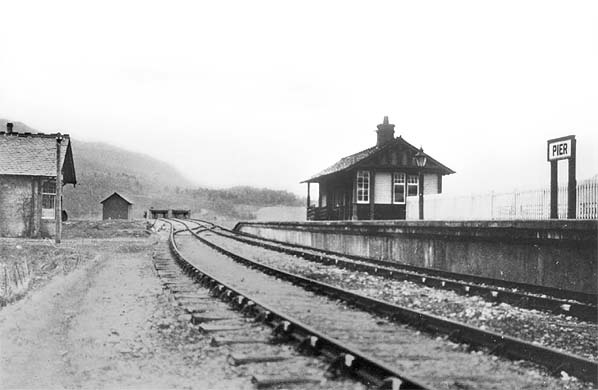 Other intermediate stations were provided at Aberchalder, Invergarry and Gairlochy. A further station at Invergloy was opened on 1st July 1904. 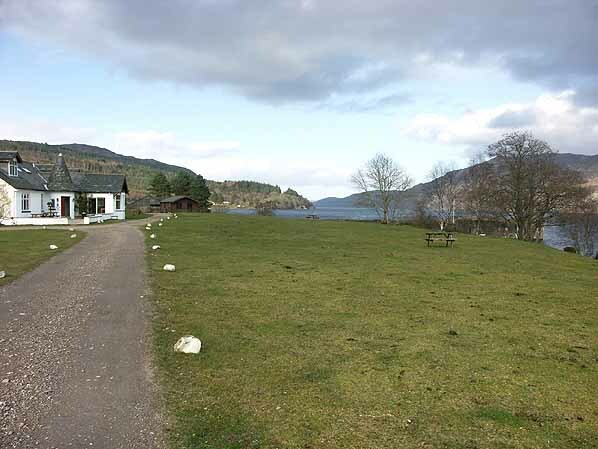 The line was single track throughout with passing places at Gairlochy & Invergarry Stations and at Letterfinlay Crossing which was planned to break the long single track section from Gairlochy to Invergarry. This crossing was never brought into use although signaling equipment was installed and a signal box built. Meanwhile, in 1897, a light railway had been proposed from Inverness via Dunain to Lochend, where a pier would allow connection with the loch steamers. Although this line was not actually a Highland Railway proposal (they having agreed not to promote any railways in the Great Glen), the Invergarry and Fort Augustus Railway were suspicious of Highland Railway involvement and opposed the Lochend line, believing it would prevent the company ever extending to Inverness. The opposition was successful, and the Lochend line did not proceed. After the First World War, the North British Railway was amalgamated into the London & North Eastern Railway, who used the line largely for freight purposes rather than passenger traffic. The passenger service was withdrawn on 1st December 1933 but the line remained open for freight with a once weekly coal train. During WW2 there was a daily freight service in connection with logging activities. The daily freight train was withdrawn in 1945 and the weekly coal train was withdrawn from 1st January 1947. There was a final special on 28th March 1947 for prospective hiring of the line by a timber merchant but this didn't happen and the track was lifted shortly afterwards. Today some sections of the trackbed are used as a logging road. 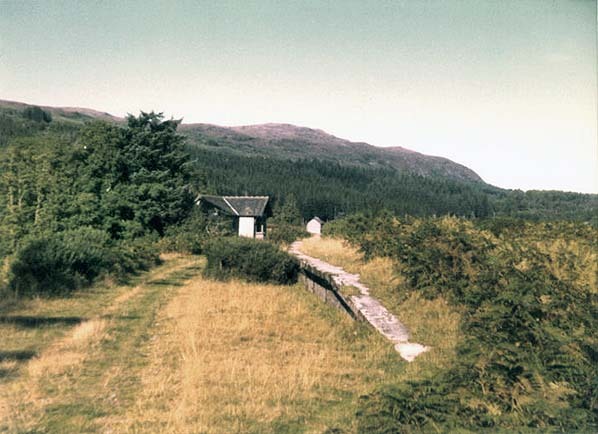 1962 1:2,500 OS map shows Fort Augustus Pier station after closure and track lifting. Fort Augustus Pier sation looking north in 1971.